From the Shadows: From the Shadows Halloween Contest! I love that picture of you(? 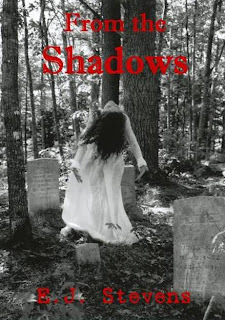 )on the the cover of From the Shadows. Who are a few of your favorite poets? Sylvia Plath and Edgar Allen Poe are my favorite poets although there are so many wonderful writers out there! Thank you. :) I'm glad you like the picture. My mom (Amanda Stevens) did the black and white photography. She's amazing! I'm happy that you're running this contest because it gave me a chance to stumble across your gorgeous blog! Hi Erica! I enjoyed visiting your blog. Great giveaway! Thanks so much for stopping by my Halloween party! Have a nice weekend!